Iron Man – Get ready for different breed of heavy metal hero. Written by Mark Fergus, Hawk Ostby, Art Marcum, Matt Holloway. 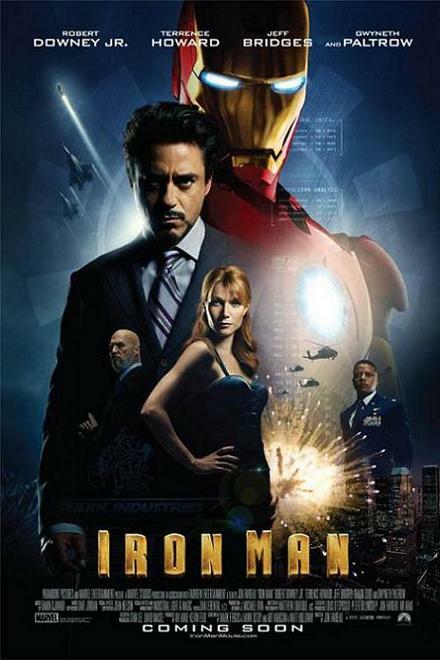 Tony Stark (Downey Jr. ) has taken over the company his father built. The core business is developing weapons for the United States and during a demonstration of the new “Jericho Missile” Tony is kidnapped. While in captivity he befriends Yinsen (Toub) who is there to assist Tony with his work. Yinsen explains what is expected of Stark and the repercussions of not following orders. In the cave Stark designs the new weapon and secretly he creates the first Iron Man suit. The character of Yinsen was in my opinion one of the most heroic plot lines in this movie and my hat is off to whoever came up with it. I thought that was a great set up for the rest of the story. This is an excellent movie and great fun to watch.